NOVICA's #SecretGardenEarrings are the perfect gift! 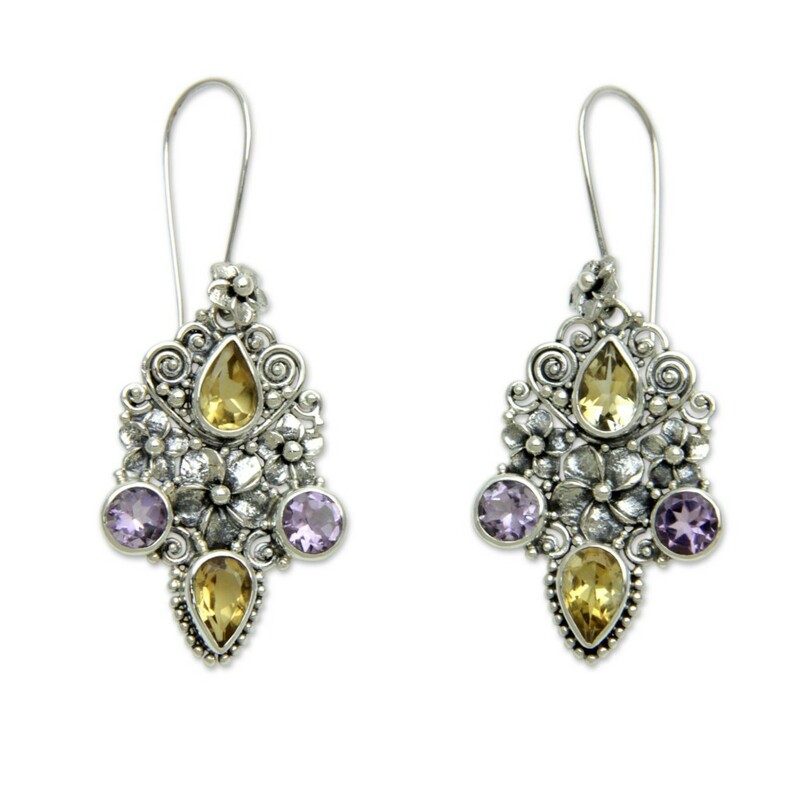 NOVICA’s striking citrine and amethyst #SecretGardenEarrings are a Christmas gift from me… to me! I’ve been Christmas shopping for weeks. Every time I pick out a snuggly sweater, a decadent treat, or pair of tickets to some fabulous event, I am thrilled to find such a perfect gift for the recipient. But, the shiny baubles are a little harder to give away. That’s why this Christmas, I got a fabulous, sparkly gift just for… me! Secret Garden Earrings from NOVICA are made of .925 sterling silver and have stunning, faceted citrines nestled amongst twining, tropical flowers, highlighted by gorgeous amethysts. The gemstones total a whopping 7.5 carats! These elegant earrings are perfect for dressy evenings out, but also look amazing against a simple cashmere turtleneck on the weekends. And, I especially love that they are large enough to be noticed. With my long hair, sometimes earrings get a little lost – but no one will miss these showstoppers (they measure 2.2″ long x 0.9″ wide). I also love that that, even though they are dangle earrings with stones, they are very lightweight. Often, I have purchased earrings that were too heavy to wear comfortably for long periods of time, but these are lightweight enough to wear all day – and night! These exquisitely designed pieces are handcrafted by artist by Buana of Gianyar Regency in Bali. His inspiration is drawn from the incredible beauty of the world around him, like the breathtaking landscapes that have made Bali a coveted vacation destination. Buana is just one of NOVICA’s many exceptional artists. NOVICA, in association with National Geographic, works together with talented artisan designers around the world to produce handcrafted jewelry, textiles, glassware, leather goods, tableware, and more. Secret Garden earrings are available on Amazon. Like all NOVICA products, these lovely pieces are fair trade products and arrive in a jewelry pouch with an official NOVICA Story Card certifying their materials, quality and authenticity. The List Price is $93.95, but with Amazon Prime, you can now have these sparklers for only $49.99 (plus free shipping), which makes them the perfect Christmas gift… for you! PHOTOS: Used with permission by NOVICA. DISCLAIMER: No financial compensation was received in exchange for this post. I did, however, receive a sample of the earrings mentioned above in order to fully evaluate the product. Regardless, I only recommend products or services I believe will be good for my readers. Separator image Posted in WOMEN'S FASHION and tagged with #SecretGardenEarrings, #SusanSaidWHAT, NOVICA. 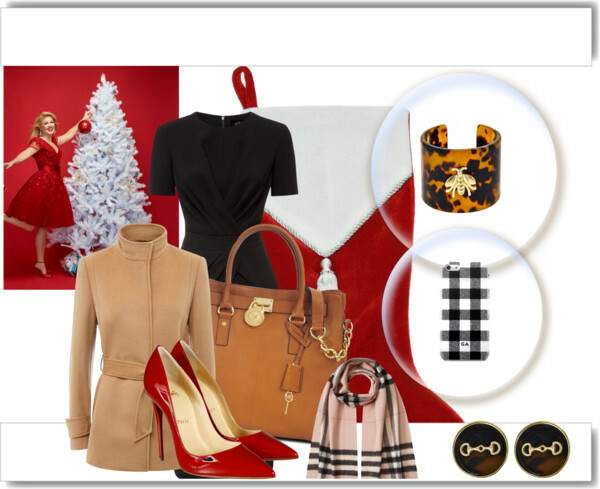 What is on a fashionista’s Christmas Wish List?